Tobacco is no longer North Carolina’s economic engine, Tobacco Road as an old label for college basketball in the state and Lipscomp University is located in Nashville, Tenn. But there is still a reverse Tobacco Road trip for the Bison to complete. Lipscomb, which won three NIT rounds at North Carolina opponents to earn the trip to NIT Final Four at New York’s Madison Square, beat Wichita State Tuesday night int he semifinals, 71-64. The fifth-seeded Bison (29-7) next face No. 2 seed Texas (20-16) on Thursday for the 82nd annual NIT title. Lipscomb opened the NIT winning 89-81 at Davidson College, near Charlotte; won at UNC-Greensboro 86-69 in the second round; and visited N.C. State’s historic Reynolds Coliseum to defeat the Wolfpack 94-93 to earn the New York trip. N.C.
State's PNC Arena, which also is home to the NHL's Carolina Hurricanes wasn't available, but renovated Valvano Arena at Reynolds Coliseum added to the nostalgia. The plaza outside Reynolds includes statues of Norm Sloan, coach of N.C. State's 1974 NCAA title team; Jim Valvano, coach of the Wolfpack's 1983 NCAA title and Kay Yow, coach of the national championship women's teams. Mathews scored 44 points to beat N.C. State to set an arena record an opponent. Wolfpack coach Kevin Keatts said he was the best “scorer” his team faced all season, which is a mouthful in the ACC. Mathews went for 34 to beat Wichita State, a program that has advanced to the NCAA Final Four as recently as 2013 and Elite Eight in 2015. In the state of North Carolina, basketball success at Atlantic Coast Conference members N.C. State, the University of North Carolina, Duke University and Wake Forest University romanticized the sport as Tobacco Road with players from New York traveling south to the North Carolina campuses. The history began with North Carolina coach Frank McGuire, a New Yorker, leading the Tar Heels to the 1957 NCAA title behind All-American player Lennie Rosenbluth, who was from The Bronx. Basketball popularity exploded in the state with the 1957 Final Four, a first for the Tar Heels, played in Kansas City. In the semifinals, North Carolina defeated Michigan State and Johnny Green in triple overtime and in the finals beat Kansas and Wilt Chamberlain in double-overtime. The games were televised live back to North Carolina, an innovation for the time, and basketball began to pass football as religion in the state. McGuire left the Tar Heels for the NBA in 1961 before returning to Tobacco Road in 1964 at South Carolina, which at the time was still an ACC member. His stars on nationally ranked Gamecocks included John Roche of New York. 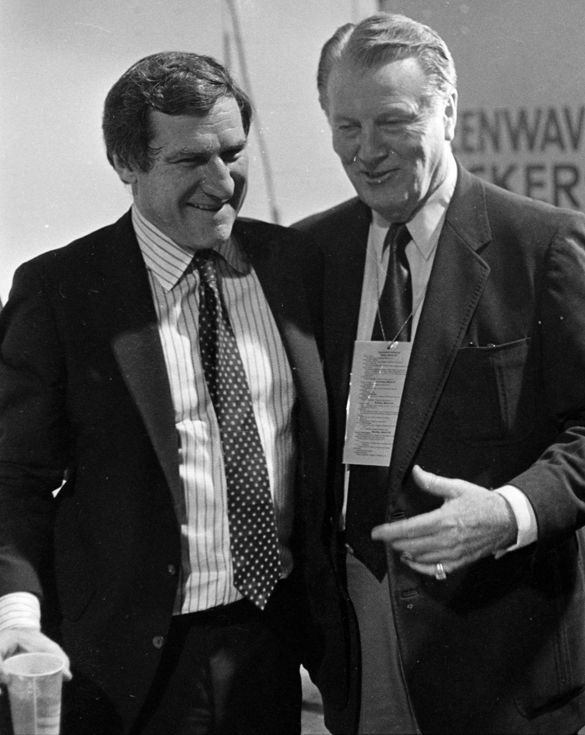 Dean Smith replaced McGuire at North Carolina and his early stars included Billy Cunningham from Brooklyn and Larry Brown of Long Island. Duke’s Art Heyman, the 1963 Final Four MVP, also was from Long Island. The list continued until someone dubbed ACC basketball, dominated by the North Carolina schools, as Tobacco Road. It stuck, and you still hear it, although it doesn’t really apply anymore. Tobacco declined as a chief crop once the cigarette industry went into decline over cancer awareness and recruiting grew more sophisticated. North Carolina’s schools found more talent locally and recruited nationally rather than needing to rely on New York connections. The NIT also has declined from its glory days when it was actually considered a more a prestigious title to the NCAA tournament or at least equally as important, but that doesn’t matter to Lipscomb. New York isn’t a consolation prize to the Bison, who won the Atlantic Sun regular-season title before losing to Liberty in the conference tournament for the automatic NCAA bid. Texas finished sixth in the Big 12 regular-season standings. Lipscomb believes it can build off the exposure and experience. It's certainly more valuable than it is to Texas. “Well, it says a lot about our program and the current state of it,” Lipscomb coach Casey Alexander said after the semifinal victory. “We've got some guys with three straight 20-win seasons, an NCAA Tournament last year and three road wins in the NIT before we came here. So they have accomplished a lot.